Iceland has more than 130 volcanic mountains, and the volcanic eruptions are very common in this country. The recent eruption of powerful Eyjafjallajökull mountain even disrupted Europe’s air travel for quite some time. 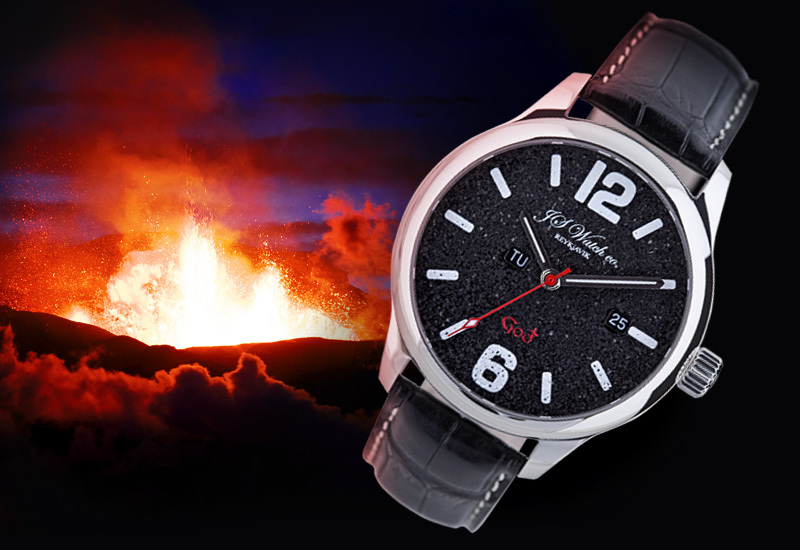 As Iceland’s only watch company, JS Watch Company decided to commemorate these eruptions with a special edition in the Frisland series. This new watch, Frisland GOÐ, features a dial made out of actual ash from Eyjafjallajökull. “Frisland” is a mythical name some say represents Iceland in old geographical maps. GOÐ refers to the ancient gods of Nordic mythology. In the old sagas, the world of the gods was two dimensional, a world in South, Múspellsheimur, full of fire, light and heat and a world in the North, Niflheimur, full of arctic waters, mists, and cold. Between them, Ginnungargap where the world was created and into it poured sparks and smoke from the South and layers of rime-ice and glacial rivers from the North. Where the hot and cold met, the Gods rose up and were created. 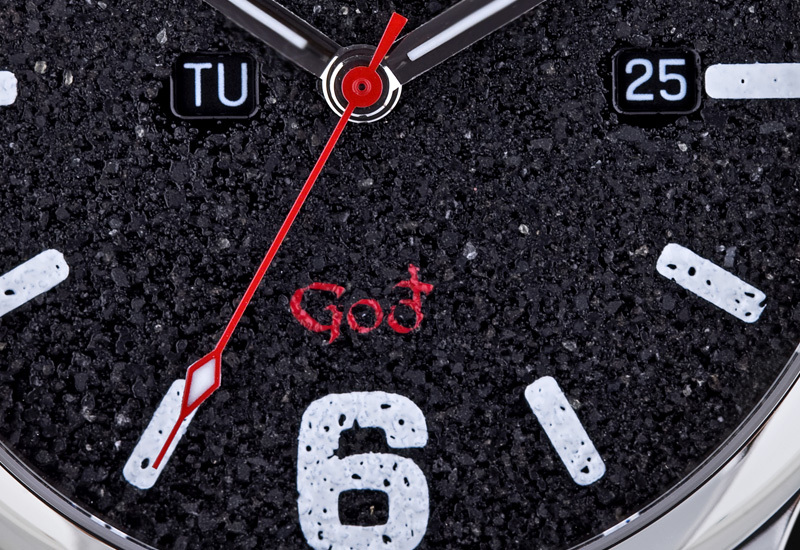 The GOÐ dial is made with ashes from the Eyjafjallajökull eruption using a very special technique. First, clear color is applied to the galvanic black dial, then the volcanic ash is sprinkled into the wet color. After the color and ash have dried, the surface of the dial is polished but care is taken to let the texture and character of the ash come through. Then the white indexes and numbers and the red “GOÐ” are printed on the dial. When you look closely at the dial you can see that it actually looks like a lava field and every dial is unique because the material is so fluid and alive when the dial is created.